In late April, I learned that one of my friends was pregnant. About a microsecond after she told me, my brain was already thinking about the baby quilt I would be making. I reached out to several of her other friends, and in the end 7 of us collaborated to make this special quilt. Today, I am really excited to get to share Flight Path with you. One of the first things that really helped was that my friend’s sister was able to share a color palette with the group. I took the color palette and made a series of different designs and colorways for the friends to look over. I think we were all drawn to the dark Flight Path design pretty much immediately. One friend, who worked for many years as a nanny, really liked the Xs and Os design because it was square. She had experience swaddling young babies and experienced frustration with using rectangular blankets, so with a slight tweak, the 42 x 42 inch Flight Path design was created. The next task was to pick out the fabric for the quilt. Getting 7 ladies together at the same time can be a challenge, and in the end, 4 of us were able to meet for a girls luncheon and then go fabric shopping. 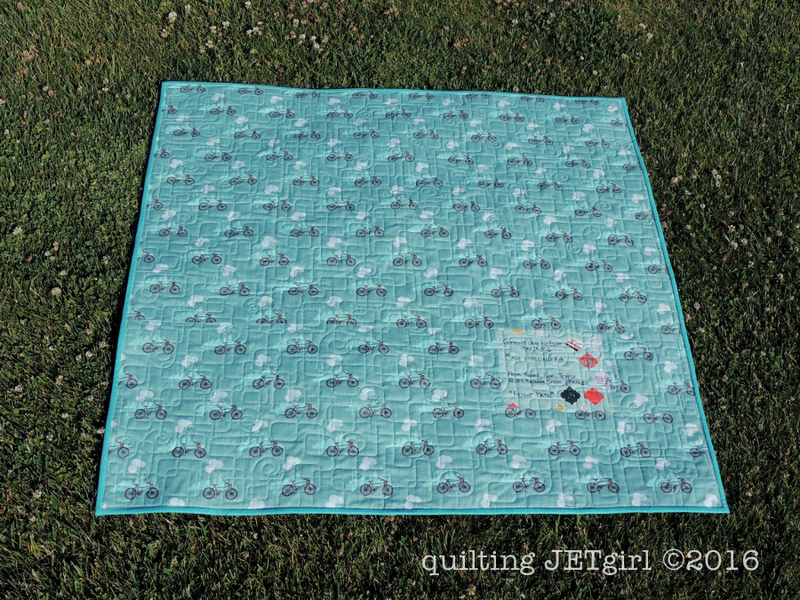 I brought a fat quarter of Cloud9 Cirrus Solid in Shadow and suggested we use it as the background gray for the quilt. It has such a delightful soft hand. The other ladies helped pick out just the right grouping of fabric; it was a much faster selection process than any of us had anticipated. The quilt top itself came together very quickly, and then it was time to think about how to quilt it. I suggested an all over design of either loops or rounded boxy meander. Once again I was go grateful to have this group of friends providing input. And so Flight Path, the quilting motif was created. Which is hopefully a good mix of both motifs showing that even the best laid plans can get spun for a loop on occasion, but that even footing can be found on the other side. 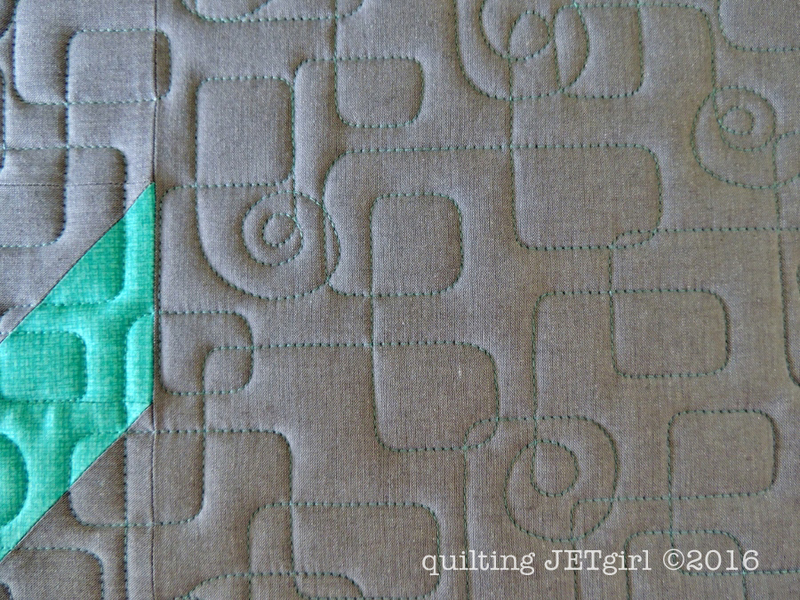 I chose to use 50wt Aurifil 1148 (Light Jade) for the quilting. The color blends nicely into the backing fabric and adds a pop of color when you look closely at the quilt top. It was also the perfect thread color to use for the machine binding. I pieced in a label on the back and noted all the wonderful women who contributed to help make this quilt. 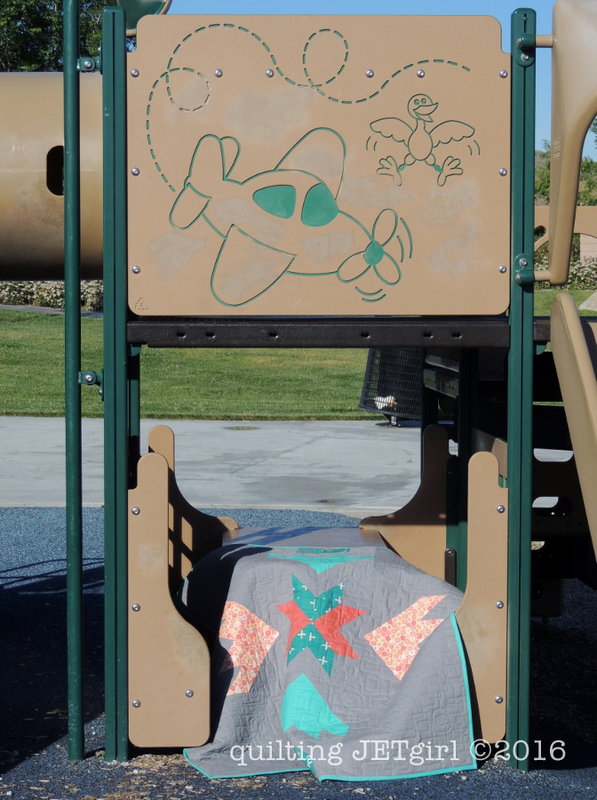 I also could not resist getting a photograph of the quilt on the local play structure; the cartoon airplane was definitely icing on the cake. When I say that I am passionate about my local and online communities, I really mean it. The experience of working with my friends to create this quilt was wonderful, and I know this baby is already loved very much. You ladies have created a very lovely baby quilt! Beautiful palette and piecing and combining the 2 motifs for the quilting has been an excellent choice. It makes me think of a little airplane having fun in the sky: flying in all directions with a happy looping now and then. That’s a wonderful quilt and your quilting is superb as usual! Thanks for sharing the story behind it, it always adds an extra dimension to a quilt)) My brother is a pilot and his little son is mad about planes, but I made him a boat quilt for his first birthday because he couldn’t express his preferences yet))) (and also because i was a beginner quilter and had just learned how to put HSTs together))) Will have to make a planes quilt sooner or later. What a very special quilt! I love reading about the design process and how you and your friends chose everything. What a lucky baby! What a great collaboration among friends on such a special project! I love everything about it, the design, the colors and the quilting! Well done ladies! Great post. Really enjoyed reading your thoughts on making this lovely quilt. Thanks for the close up of the quilting. Really like what you did with it! Love everything about the quilt! 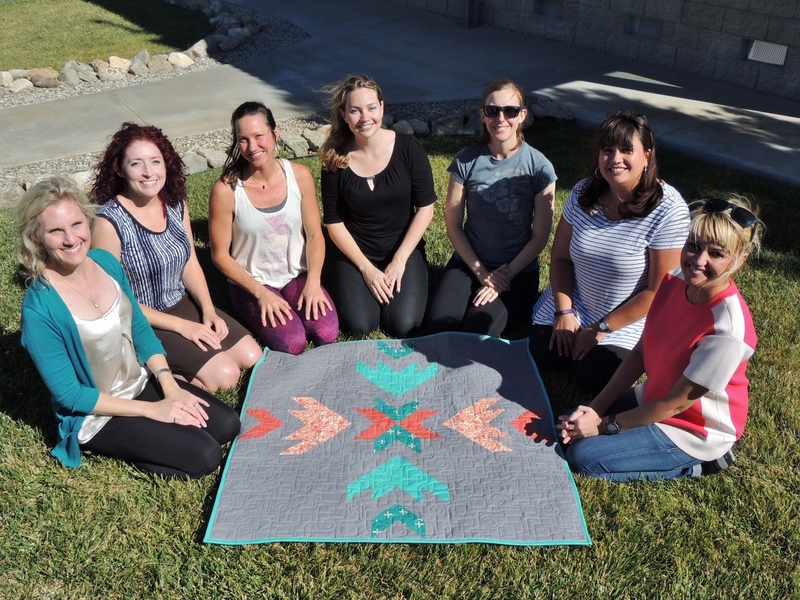 The colors, the pattern and the quilting…it’s wonderful to have a circle of good friends to help plan and create! What a beautiful quilt. It is great to be able to collaborate with friends. This is awesome! 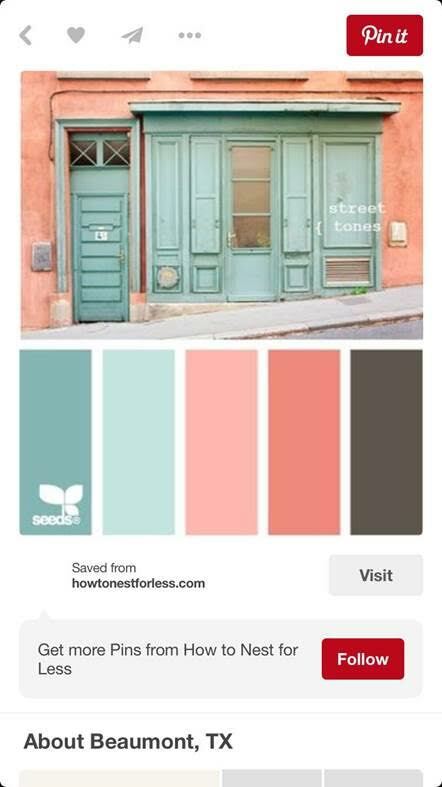 I definitely agree that you picked the perfect design and the perfect palette! I love everything about flight path.What a great project, with the help of friends wonderful things happen. How wonderful that all of you were able to come together to collaborate on this quilt. The amount of detail from colors to theme shows how much you love the person it is going too. The picture with the playground equipment couldn’t be more perfect. The paint even matches the colors of the quilt! I’m almost finished with two baby quilts and chose gray for the back ground color. 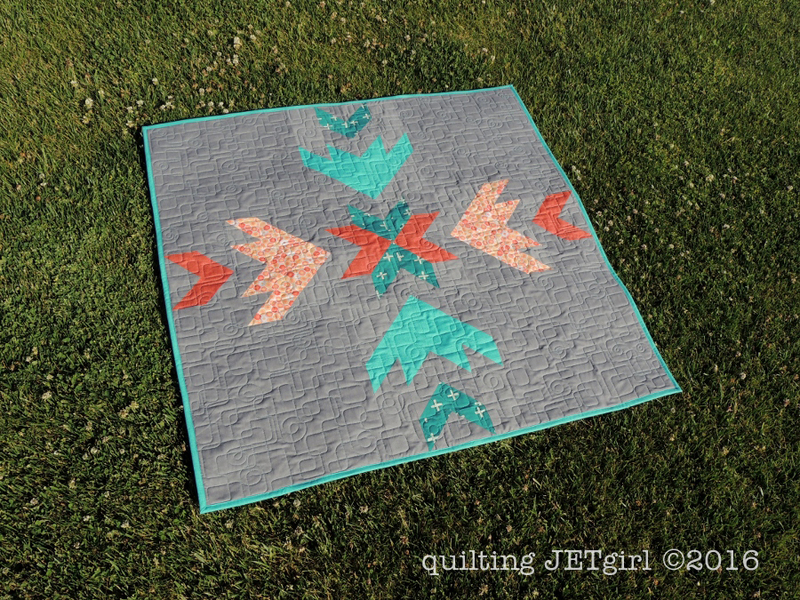 I agree with you that it can add a softness to a quilt, especially when paired with brighter colors. There is nothing more gratifying than doing something you love for someone you love. I hope you get to tell her the story of how it all came together. This quilt will be cherished. I love how someone recognized the B52’s! What a wonderful gift and I enjoyed hearing the lovely story behind it. Your friend and he baby will love it. I can only add that I love the quilt and the story with it! Amazing collaboration!!! The colors are refreshing and happy. It’s neat that the quilt will be usable always, and not just a baby quilt. The design, indeed, looks like the B2 Stealth–I saw one do a flyover several times… an amazing plane! P.S. You have an amazing eye for design! 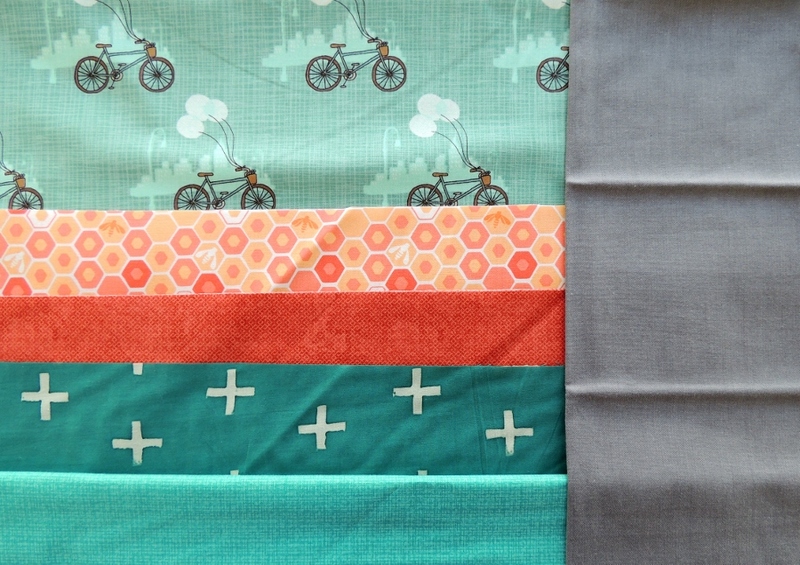 I’m always blown away by your quilts–from design, fabric choices, piecing and quilting–perfection! The collaboration of friends will make the giving that much sweeter and has the added benefit of great memories for the makers! Yvonne, this was such a beautiful post! That last picture is SO perfect! I love how you were able to get together in person and create such a special gift. I’m also in love with that quilting motif and the meaning behind it! I’d love to share this in The Wonky Press. Such a beautiful quilt, Yvonne, making it more special because of the story that goes with it. Friends are really special and the collaboration was great. Good Morning Yvonne! I so enjoy reading your posts and this one really touched a new path showing how much you really do care. It is not that you have not done this in the past or anything like that; it is just that somehow this post for me really caught how much of a caring person you are with each individual in your life and how much you truly do enjoy being a part of a group working together for a good cause. I am a lot like you in that way and just want you to know that also. I also have to say that this quilt that all of you helped to create is dynamic! Each and every fabric choice, the layout, the quilting it is all so spectacular! I love the photo at the end at the park with the airplane! Thank you for sharing and have a fantastic creative day! 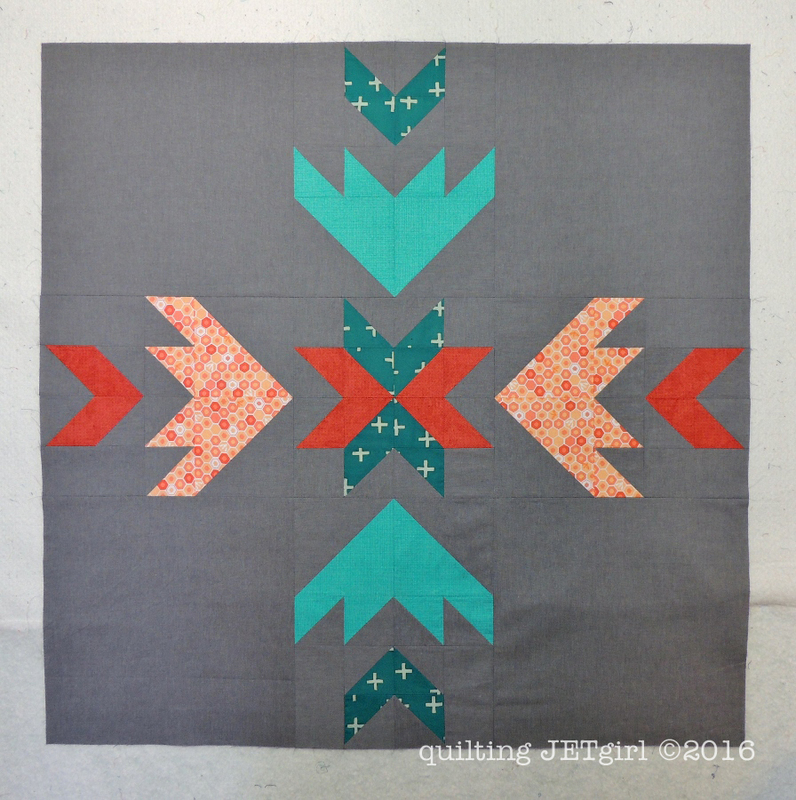 FlightPath quilt is beautiful and I really love the quilting! Exquisite!! Handmade baby quilts are always very special but to have one made with input from seven ladies makes it even more so! What a wonderful and loving start for this baby – your pregnant friend will be so touched. I really like this quilt, especially the quilting! What a fantastic quilt to be gifted to the new child from a great group of friends – all the love that’s in that quilt is awesome. 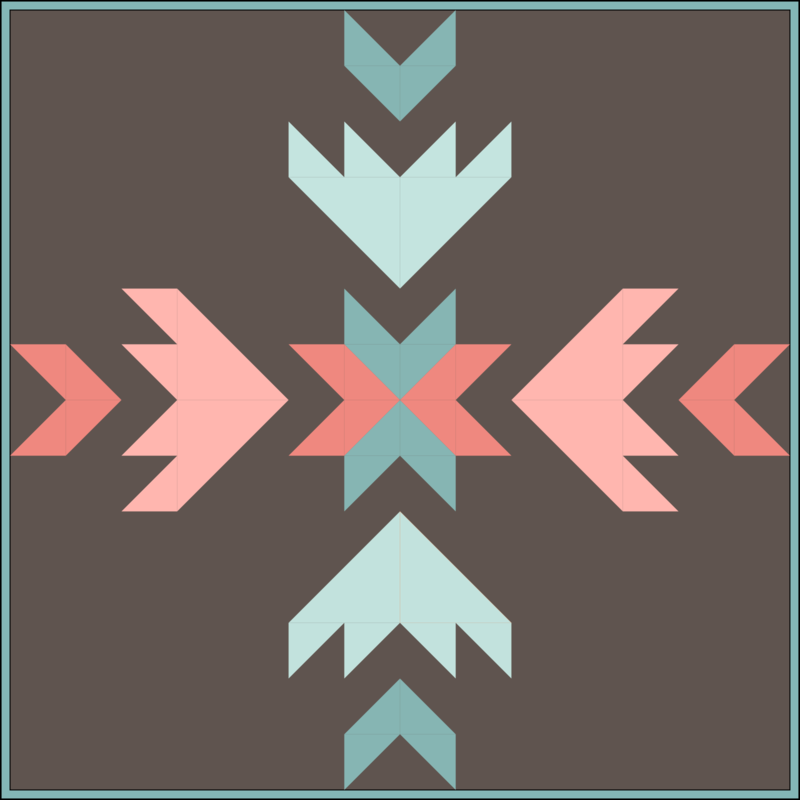 I love this quilting motif you’ve come up with – it’s just perfect. This is such a wonderful result of a special collaboration among friends. It seems like everything came together exactly how it should have. And the play structure was such a cute place for a photo. What a great collaboration! 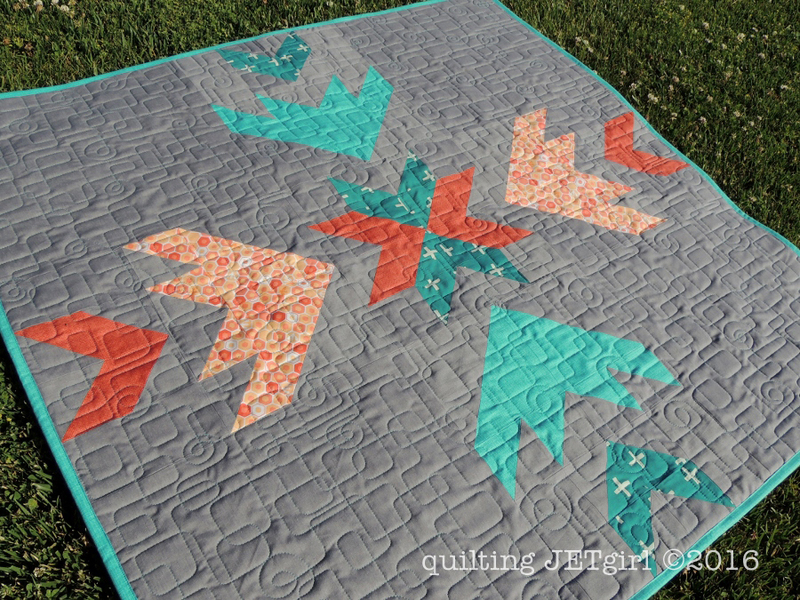 I really like the design and the colors and the quilting pattern is awesome! Sounds like a fun experience with friends. It turned out super cute. I really love that quilting. The quilt is gorgeous, the story is beautiful and the quilting design is perfect! I love the meaning behind it too, and I think I’ll have to remember that one 🙂 Will you be releasing the pattern eventually? Lovely quilt, that colour palette is gorgeous, and I really like the grey you chose, much softer than it appeared on the original design and I think so much nicer for that. Very special quilting too, especially with the story behind it.